Landscape features influence distribution of waterbirds throughout their annual cycle. A conceptual model, the wetland habitat complex, may be useful in conservation of wetland habitats for dabbling ducks (Anatini). The foundation of this conceptual model is that ducks seek complexes of wetlands containing diverse resources to meet dynamic physiological needs. 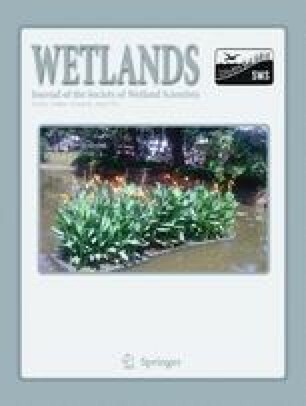 We included flooded croplands, wetlands and ponds, public-land waterfowl sanctuary, and diversity of habitats as key components of wetland habitat complexes and compared their relative influence at two spatial scales (i.e., local, 0.25-km radius; landscape, 4-km) on dabbling ducks wintering in western Mississippi, USA during winters 2002–2004. Distribution of mallard (Anas platyrhynchos) groups was positively associated with flooded cropland at local and landscape scales. Models representing flooded croplands at the landscape scale best explained occurrence of other dabbling ducks. Habitat complexity measured at both scales best explained group size of other dabbling ducks. Flooded croplands likely provided food that had decreased in availability due to conversion of wetlands to agriculture. Wetland complexes at landscape scales were more attractive to wintering ducks than single or structurally simple wetlands. 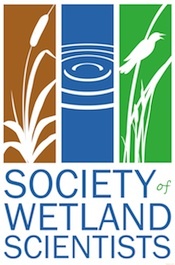 Conservation of wetland complexes at large spatial scales (≥5,000 ha) on public and private lands will require coordination among multiple stakeholders. The Mississippi Department of Wildlife, Fisheries, and Parks was our primary sponsor with funding from the state’s migratory bird stamp program. Other sponsors providing financial and logistical support included the Anderson-Tully Company; Delta Wildlife; Forest and Wildlife Research Center, Mississippi State University; Ducks Unlimited, Inc., Southern Regional Office; Jack H. Berryman Institute; Mississippi Cooperative Fish and Wildlife Research Unit (Research Work Order 74); U.S. Department of Agriculture, Animal and Plant Health Inspection Service–Wildlife Services–National Wildlife Research Center; and the Science Support Program jointly administered by the U.S. Fish and Wildlife Service and U.S. Geological Survey. We thank A. Nygren for expert pilot services and P. Gerard and S. Riffell for statistical advice. J. Anderson, M. Guillemain, and anonymous reviewers provided valuable comments for this manuscript. Our manuscript was approved for publication as Mississippi State University–Forest and Wildlife Research Center Journal Article WF–356. Any use of trade, product, or firm names is for descriptive purposes only and does not imply endorsement by the United States Government.